Set up times are from 6 till 6:30 pm and the official sale times are 7 to 9 pm. Please be sure to sign up in advance by emailing Cathy at cmmjaime@alum.mit.edu. Instead of a $5 table fee - there will be a fee of 10% (based on your sales that evening), payable as you depart. Questions, be sure to ask. 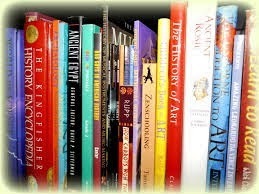 Leaving books on consignment after the sale is an option, but is not required.